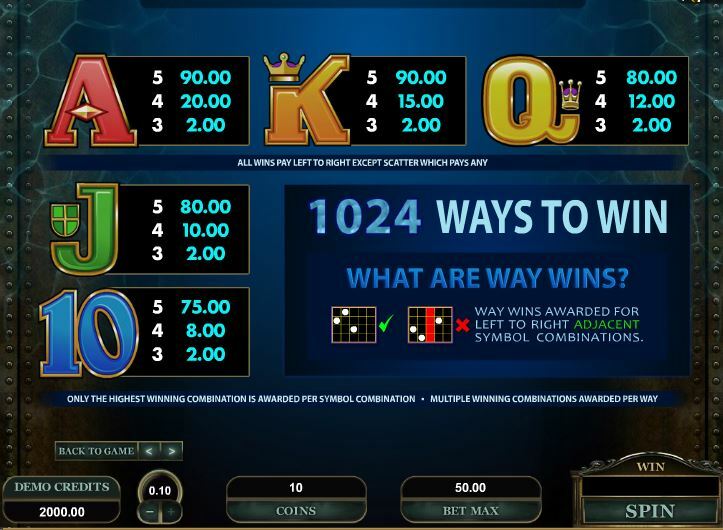 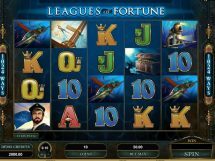 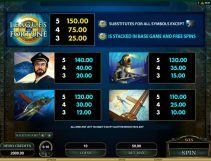 Leagues of Fortune slot a Microgaming 1024 way game with 5 reels and 4 rows like their Hot Ink game. 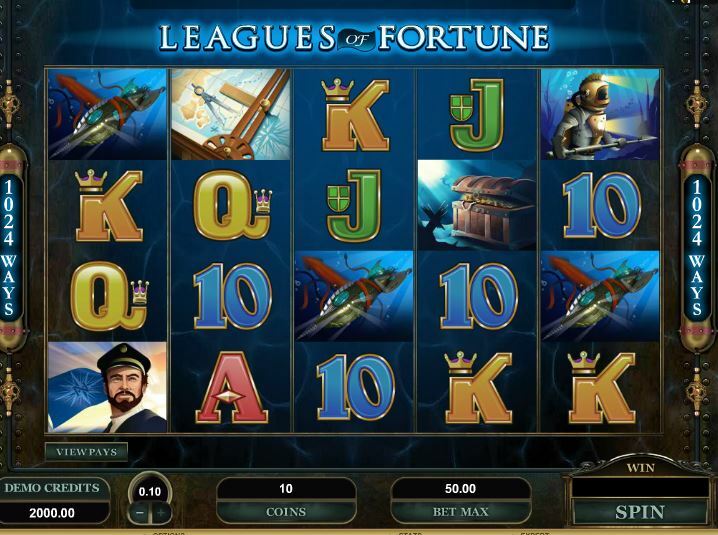 There re non-multiplying stacked Wilds on all reels and a free spins round. 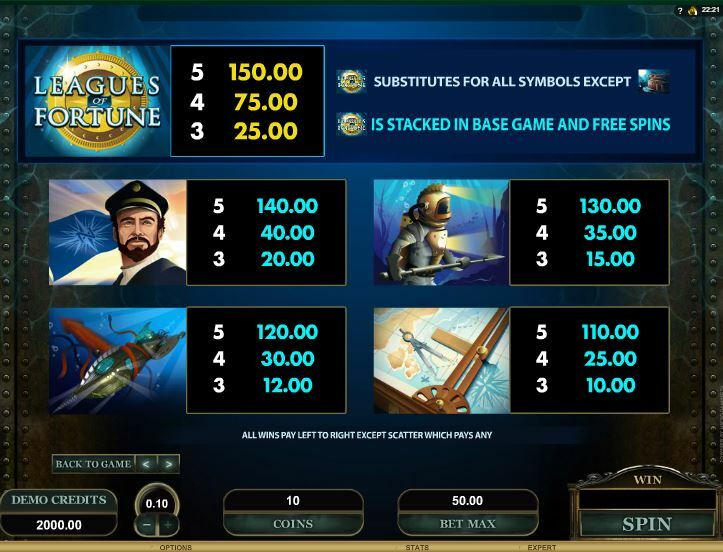 The theme is a seafaring captain and exploring the deep for monsters and you’ll see one if you get 3 treasure chest scatters to trigger the free games bonus. 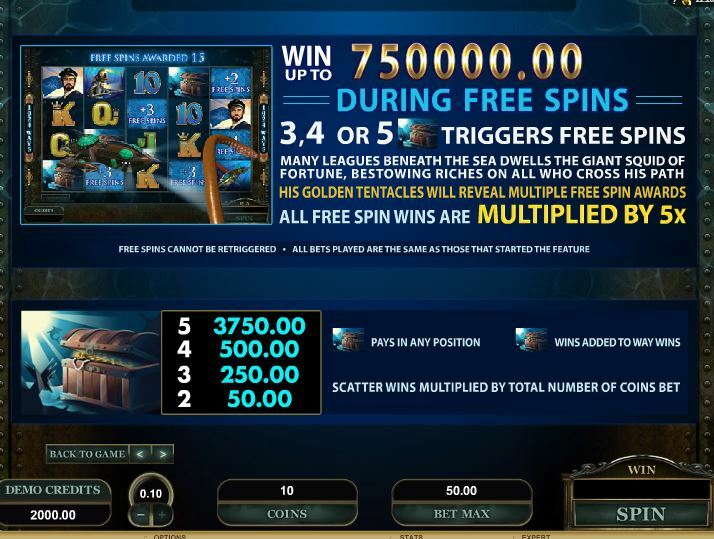 The giant squid will smash positions on the screen to reveal a number of free spins, you can get from 10 to 30. 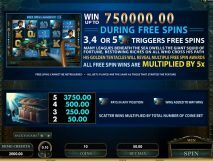 All wins are paid at 5x in these free spins so there is massive potential! RTP is 96.49%.